OSWEGO, NY – Oswego is now the ground zero for Salvation Army operations in Oswego County. 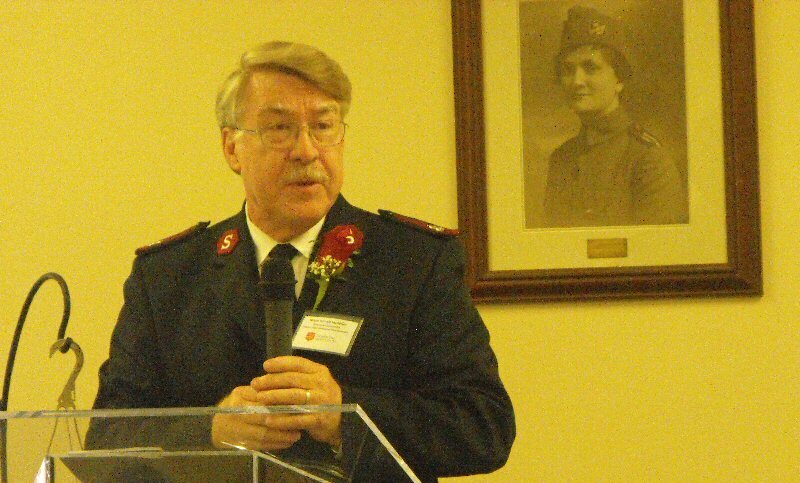 The Salvation Army in Oswego is realigning and expanding its programs, Major Donald Hostetler announced Saturday afternoon at the dedication ceremony for the Port City Citadel. 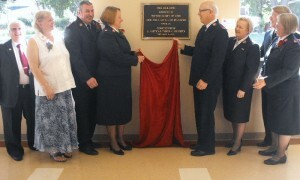 Unveiling the plaque at The Salvation Army’s Worship and Community Center, from left are: Paul Santore, chair of the advisory board; Mercedes Niess, chair of the Believe campaign to benefit the Oswego Salvation Army; the new corps officers Majors James and Kathryn Purvis; the Chief Secretary of the Eastern Territory of The Salvation Army, Colonel William Carlson and Colonel Marcella Carlson, Territorial Secretary for Women’s Ministries; and the Divisional Commander of the Empire State Division, Major Donald Hostetler and Major Arvilla Hostetler. 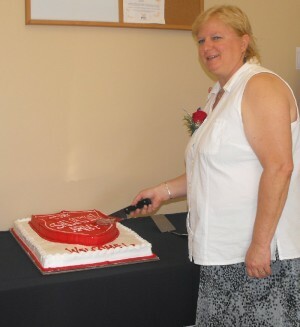 The ceremony to officially launch the new county corps took place at the Salvation Army’s Community Center on West Second Street. Colonel William Carlson, chief operating officer of the Eastern Territory of The Salvation Army, took part in the historic event. Major Donald Hostetler reminds the large crowd of the contributions of Lt. Colonel Helen Purviance (pictured behind him) to the Salvation Army. The Salvation Army first opened its doors in Oswego in 1893, and has been in continuous operation ever since. The first citadel in Oswego was officially dedicated on Aug. 1, 1920. It stood on the corner of West First and Cayuga streets. At the opening of the new citadel, Captain Hayes told Oswego County Today that The War Cry, a newspaper that was distributed by the Salvation Army, talked of Purviance and the first Salvation Army building, which was dedicated Aug. 1, 1920. The report says that the three-story citadel at West First and Cayuga streets was “one of the finest and best equipped” around. 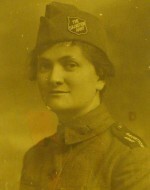 Purviance is considered the first “doughnut girl” of the Salvation Army during World War I.
Purviance was commissioned in Oswego from 1913 to 1924. The Salvation Army history book tells of her efforts in France; it doesn’t mention Oswego, he added. The Salvation Army service units in Pulaski and Phoenix will now be incorporated into the new Oswego County Corps. Salvation Army service units provide similar social service assistance as a corps without the cost of maintaining a physical plant. A service unit is entirely staffed by community volunteers. They provide emergency food, clothing, shelter and utilities to community residents, send local children to the Army’s Long Point Camp, provide back to school supplies and Christmas assistance. “We believe the Army will be stronger under this new model. The new officers assigned to the new Oswego County Corps will bring energy and enthusiasm to this re-alignment,” Major Hostetler said. He then introduced the new officers, Major James and Major Kathryn Purvis. They have relocated from Elmira and are scheduled to officially be installed during a ceremony on Sunday. Prior to Elmira, they were in Newburyport, MA. Previous to that, their assignments included the Troy Temple, the Buffalo Temple and Yonkers Citadel. They succeed Major Corinne and Captain Kenneth Hayes. The Hayes were assigned to Oswego for 12 years. They have been reassigned to Niagara Falls. Captains Kevin and Leslie Brennan, who were officers in charge of Fulton, have been reassigned to Franklin, Pa. The advisory boards in Fulton and Oswego have been working together since February and are recruiting new board members representing the entire county and the service unit areas. In addition to emergency assistance, the Oswego Corps has an active after-school program, soup kitchen, and fresh food distributions as well as providing camping opportunities at Long Point Camp for children and families and provide back to school supplies and Christmas assistance. Fulton will continue to have a soup kitchen and free bread distribution. 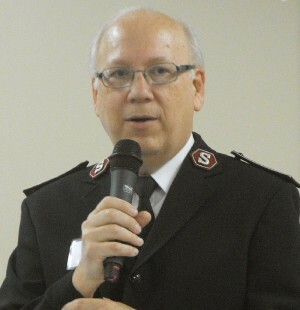 Prior to the Hayes, Majors Richard and Jody Best were the officers in charge of the Oswego Salvation Army. They were reassigned in the spring of 2000 and began their new duties that July. Richard Best was to become the divisional secretary for church growth and evangelism and would coordinate the men’s ministries for Salvation Army branches in 48 upstate counties. His duties involved overseeing spiritual ministries, evangelical outreach programs and mentoring younger officers. Jody Best was set to be the division’s director of women’s services and women’s auxiliaries. It was great to be back in Oswego, Richard Best said Saturday. For more information on the new Oswego County Corps, call 343-6491.